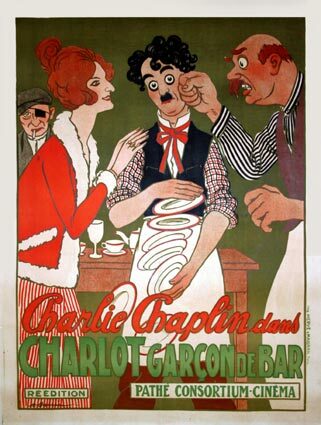 For this Charlie Chaplin Keystone comedy, I had to look a bit to find the most “authentic” 1914 version. Charlie, you see, bought the rights to most of his early films and re-released them in the sound era, often re-editing them to “improve” them for sound audiences. You can read a good analysis of the two versions of “The Gold Rush” over at Movies Silently. For this one, the first version I came across (and you can find this one several places on the Internet) had a suspiciously large number of Intertitles, which got me wondering. 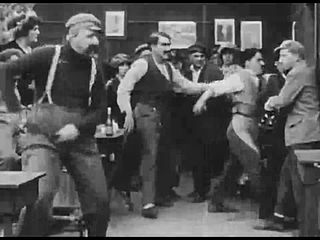 Movies from 1914 were generally pretty light in Intertitles, and Keystone shorts in particular. Sure enough, it’s the re-edit, which lacks several critical scenes and is actually less funny (to me, at least) because the Intertitles try to put verbal spins on the physical action, but just wind up interrupting it. Since this is a historical project, I’m going to focus on what seems to be the older version, without getting into debates about who has the right to re-edit movies. 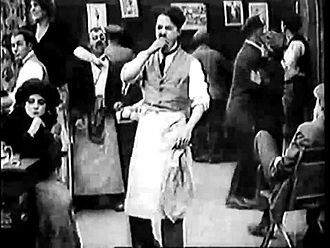 Like a number of Chaplin’s early films, this was directed by Mabel Normand, who, he would insist years later in his autobiography, Chaplin did not regard as a competent director (she was only 22 at the time). He also made it sound like it only happened once or twice, but as this project has demonstrated, there were a few instances. Still, Charlie may have felt more at liberty in his re-edits after the fact since he didn’t think she was a good director. The story is somewhat more complex than is usual for a Keystone short, with Charlie bouncing back and forth between two locations and identities, and the climactic scene of pandemonium takes longer to get to (and is somewhat less satisfying) than in many of the simpler ones. Unfortunately, by cutting out necessary explanatory scenes, Charlie’s later attempt to “fix” the movie only made it less coherent, and, oddly, he cuts down the climax as well (including the pie-in-the-face). Where I chuckled a few times at his version, hers got belly laughs from me. How many Keystone regulars can you name in this shot? You can watch it for free: here. Or take your chances with the re-edit: here.